The minimum wage is going up. So how do you respond? This is the question restaurants are asking themselves as minimum wage increases higher than that of Washington state are mandated by voters, as in Tacoma and SeaTac, or by city councils, as in Seattle. In an industry with notoriously narrow profit margins, getting the balance right between wage increases for employees and increased costs to consumers is a must, not an option. There is no one right answer, no tried and true rule book to follow and no restaurant operations guru who can give you a one-size-fits-all formula that will make everyone happy. 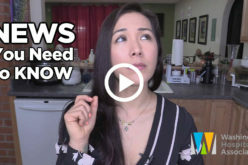 What we do have are a few pioneers who are getting their bearings in the brave new world of higher wages and finding what works best for their bottom line, their employees and their guests. 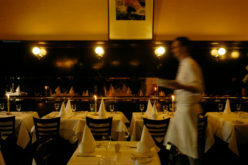 Some restaurants are switching from tipping to higher overall costs. Others are moving toward service charges instead of tips. One thing these operators all have in common is that they put serious thought into their response to higher wages before making their move. This, after all, is not a decision to be taken lightly. Tom Douglas Restaurants replaced gratuities with a 20 percent service charges at Dahlia Lounge, Palace Kitchen and The Carlile Room in February. As a result, the Tom Douglas’ other high end eateries will also eliminate tipping in favor of service charges in mid-April. Seattle’s famous seafood chain, Ivar’s, however, took a completely different route in response to the city’s minimum wage increase. It simply raised prices by 21 percent to incorporate a moderate labor increase of 4% and well as a gratuity average of 17% based on the company’s historical guest data at its Acres of Clams and Salmon House high end eateries. “We saw Seattle’s $15 minimum wage law as an opportunity to right some of the serious discrepancy between the back-of-house and front-of-house,” said Bob Donegan, president of Ivar’s. “We asked ourselves if we could reallocate our revenue model and bring up everyone’s income, especially raising kitchen salaries. And it worked. By going to a tip inclusive model, we took all hourly employees to a minimum of $15 an hour immediately and put all the hourly staff on a revenue sharing system which distributes the funds so the entire team shares in the success of the restaurant. And how did Ivar’s employees respond? One change Ivar’s did make after instituting its price increase was related to that tried and true American tradition of tipping. With minimum wage increases and other pressures, the restaurant model is rapidly changing. Donegan urges other restaurant operators not to get left behind by the political process. 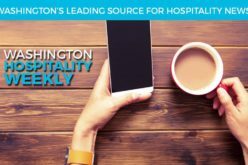 For more in depth coverage of this topic, keep an eye out for the May 2016 issue of Washington Restaurant & Lodging, published jointly for the hospitality industry by the Washington Restaurant Association and Washington Lodging Association.